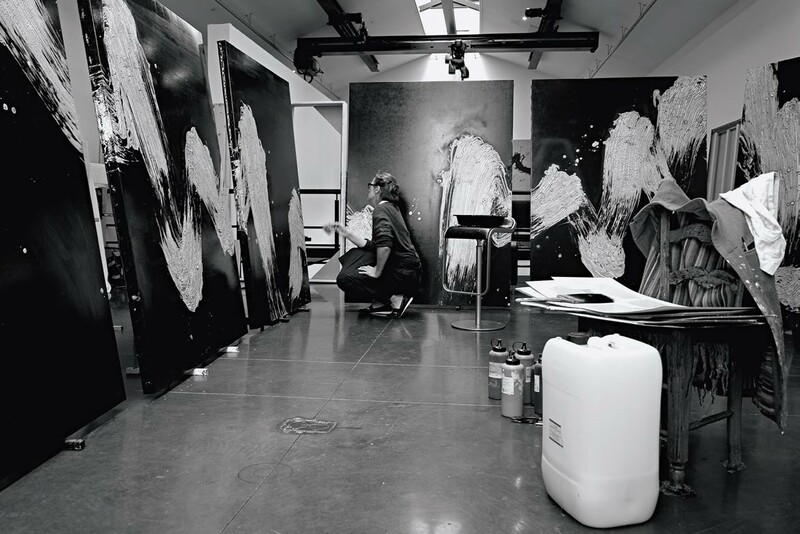 Fabienne Verdier in the process of making, ‘Mélodie du réel’, 2014. ‘Fabienne Verdier meets Sigmar Polke. Talking lines’ at Pinakothek der Moderne. The exhibition forges the connection between two periods of work by Sigmar Polke (1941–2010) and Fabienne Verdier (b. 1962). Both Polke and Verdier’s work is rooted in historical tradition and both explore the domain between formlessness and form and the indeterminate and the concrete. The exhibition runs until 8 October.